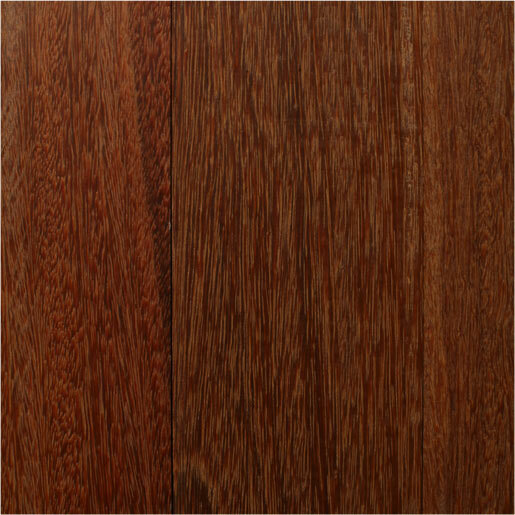 Description: Red Cumaru, commonly called Brazilian Teak, is a darker and redder wood than its standard Cumaru counterpart. Red Cumaru is a tough and dense wood imported from Brazil that has an irregular, somewhat interlocked grain and wavy, coarse texture. Because of its density, it is highly resistant to termites and decay. Red Cumaru's heartwood is a reddish brown with prominent tan tones that create a rich and pleasing color combination. More Info: We specialize in both unfinished hardwood floors and prefinished flooring. Available width are 3", 4" and 5". Please see our product catalog for more information.